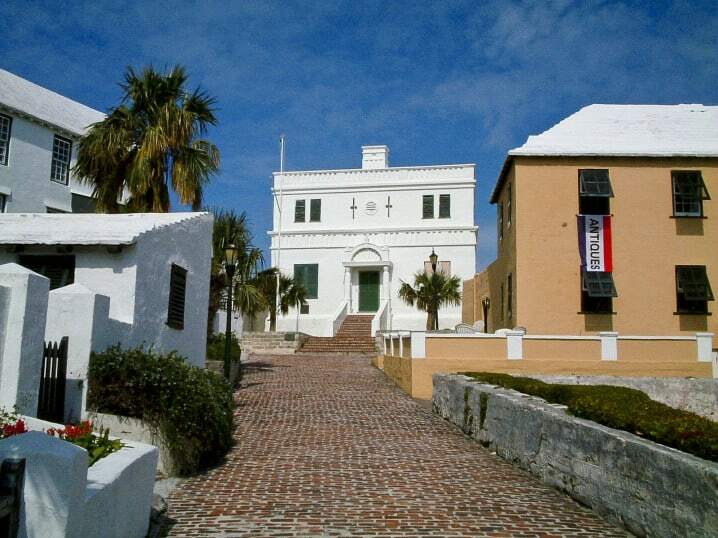 The State House is St George is Bermuda’s oldest surviving building. It was built in 1620 by Governor Nathaniel Butler to provide a more suitable meeting place for parliament than St Peter’s Church. It’s a beautiful building with Italianate features and one of the island’s most photographed sights. It’s built with limestone blocks, held together by a mortar of turtle oil and lime. In 1970 Prince Charles officiated at the reopening of the building after it had undergone extensive an extensive restoration programme to restore it to its original appearance and size. In 1815 Hamilton became the capital and parliament moved with it; first to Hamilton Town Hall and then to Sessions House. The State House was then leased to the Freemasons in exchange for an annual fee of one peppercorn; a rent that leaves most of Bermuda’s tenants salivating. Every year, on the Wednesday nearest to St Georges Day, the nominal rent is handed over to the government in the somewhat bizarre Peppercorn Ceremony. Members of the Masonic Lodge St George No 200 gather on King’s Square in full Masonic dress. A 17-gun salute announces the grand entrance of the Governor in a horse-drawn carriage. After inspecting a military guard of honour the peppercorn is handed over to the Governor by a representative of the lodge. It’s presented on a velvet cushion resting on a silver platter. 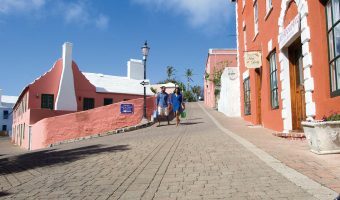 The State House is situated on Princess Street in St George, just a short walk from King’s Square and St George’s Ferry Stop. It’s open in the summer months on Wednesdays between 10 am and 4 pm. Admission is free. After visiting the State House, continue along Princess Street and you’ll come to Somers Garden. It’s a small, but pleasant park. 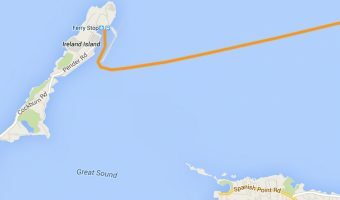 It’s named after Admiral Sir George Somers, the founder of Bermuda. His heart lies in a small tomb in the corner of the park. Map showing location of State House. I think it’s amazing that the State House is still in good shape and looks like it just got built. For something so old it is in good shape. I think it’s amazing that the State House is still there. 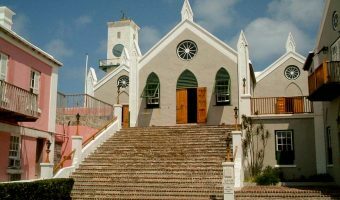 Historic (and unusual) ceremony held annually in St George. Landmark building in Hamilton home to the Supreme Court and the House of Assembly.